Ilai Rowner was born at Kibbutz Yakum in 1979 to parents of Argentinean origin. From 2001 to 2008 he lived in Paris and studied French literature. In 2012, he received his PhD from University of Paris VII-Diderot and Bar-Ilan University, Israel. He is currently a lecturer in the department of French studies at Tel Aviv University and teaches at the Herzliya Hebrew Gymnasium. A literary scholar and a writer, he also translates French literature to Hebrew. 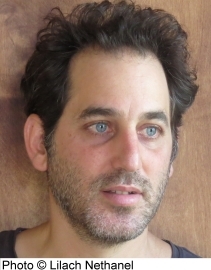 Rowner won the Haaretz Short Story Competition in 2001. His first novel, Deserter, received wide critical acclaim, and earned him both the Ministry of Culture Prize for Debut Books and the Ministry of Culture Prize for Debut Authors (2015). Deserter was also shortlisted for the Sapir Prize (2016).